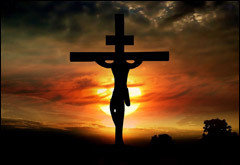 On Good Friday, Jesus was crucified, died and was buried. On Sunday Morning, Mary Magdalene and several other women went to the tomb to embalm his body. Of course, we all know what happened next! When they got there, the tomb was empty! The women ran back to the apostles to tell them what they had seen. Peter and one of the other apostles ran to the tomb to see for themselves. They could see the linen cloths that Jesus’ body had been wrapped in. Then they went home amazed and confused. Then Mary went to the disciples and said, ‘I have seen the Lord!’ and she told them what had happened. 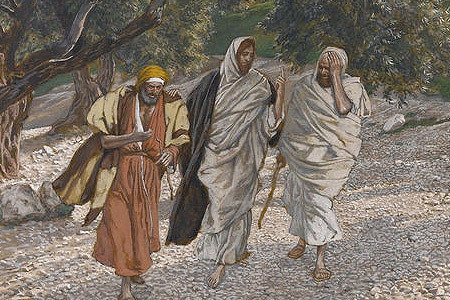 Later that same day, two of Jesus’ disciples were walking along a road to a village called Emmaus. They had been talking about what had happened. Suddenly, Jesus started walking with them but they did not recognise him. ‘What are you talking about as you are walking along?’ he asked. ‘Are you the only one in Jerusalem who doesn’t know the things that have happened?’ they replied. ‘What things?’ Jesus asked. And the disciples proceeded to tell the story of Jesus’ crucifixion, death and now his empty tomb. They explained what Mary Magdalene had seen and that she was saying that Jesus was alive. 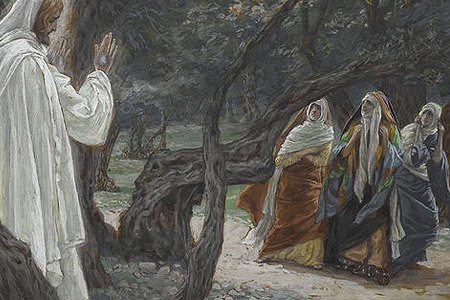 As they came near to Emmaus, the two disciples invited Jesus to stay and eat with them. Jesus accepted their invitation. While they were eating, Jesus took the bread, blessed it, broke it and gave it to them. Suddenly they recognised him and just at that moment, he vanished form their sight. On that same Sunday evening, most of the apostles were together, locked in a room. They were scared that the religious leaders would want to crucify them next. Suddenly, Jesus was among them. ‘Peace be with you.’ Jesus then showed them his wounds from the crucifixion in his side and hands. The apostles were amazed and happy to see Jesus alive again. 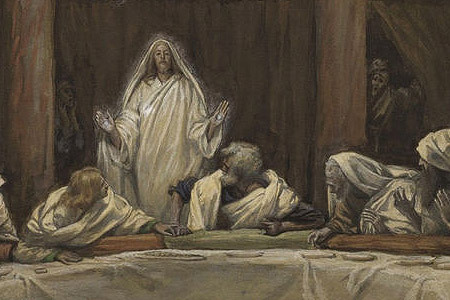 One week later Jesus appeared to Thomas and asked him to do exactly as he said. Thomas then believed that Jesus had truly risen. Forty days after his resurrection, Jesus ascended into heaven, to be seated with his father. Easter is one of the most important celebrations for Christians. But Christians don’t celebrate Easter purely for historical reasons. 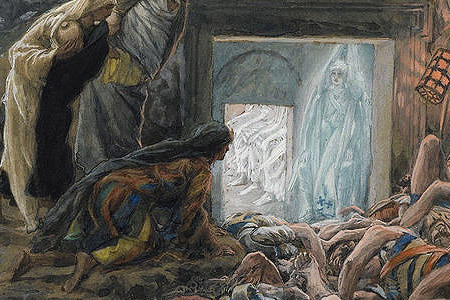 Jesus’ triumph over death wasn’t just his triumph – it was ours too! This forms the foundation of Christian faith. Jesus’ resurrection symbolises the eternal life granted to us through Jesus’ death.